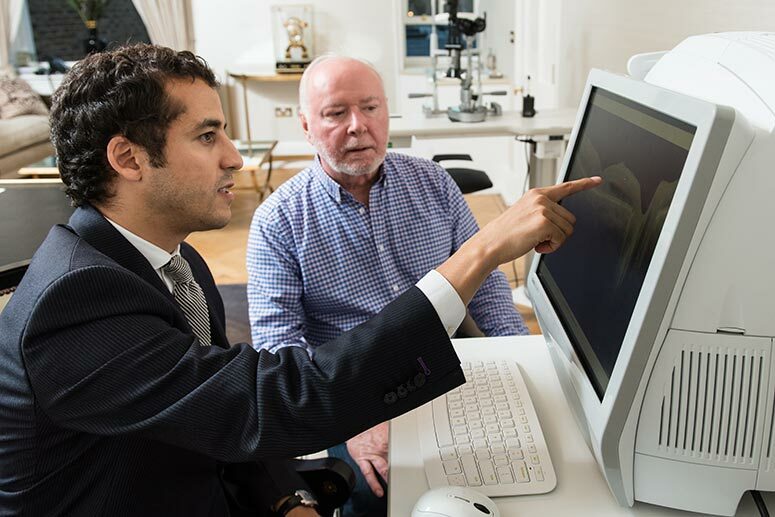 Here at The Harley Street Eye Clinic, we strive to use the latest advances in ophthalmic technology. This ensures that patients receive state-of-the-art treatment, facilitating a rapid and reliable diagnosis as well as a highly personalised treatment plan. In our clinic, we use the Lenstar LS 900 (Haag-Streit Diagnostics). This is setting the trend in lens replacement surgery, and it is not widely available elsewhere. It provides the user with a complete biometrical assessment of the eye in a single measurement procedure, including lens thickness, anterior chamber depth (lens position) and retinal thickness. Better still, by using this device, we can carry out biometrical assessment even after laser refractive surgery, LASIK, LASEK or other similar procedures in order to perfect the choice of lens implant. The Lenstar LS 900 also measures the eye’s corneal thickness, providing corneal topography, which is effectively a ‘map’ of the detailed anatomy of the cornea. Corneal assessment/mapping is essential for investigating Anterior Segment Conditions (front of the eye). Optic nerve analysis is essential for glaucoma testing and is achieved by our 3D OCT retinal/macular scanner (Carl Zeiss). 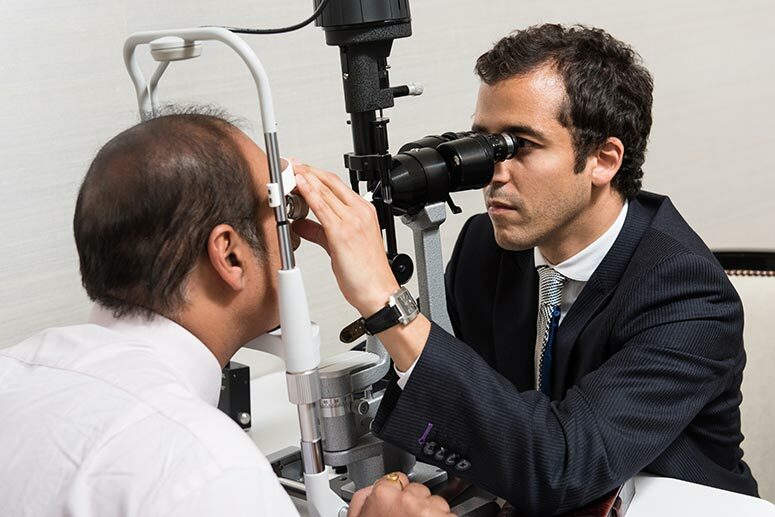 Further glaucoma investigation is carried out by the Visual Field Analyser (Carl Zeiss) which allows us to test a patient’s visual field (the full horizontal and vertical range of vision) enabling us to measure an individual’s peripheral vision. It is the gold-standard for glaucoma diagnosis, monitoring and assessment and uses automated perimetry to measure responses to visual stimuli appearing in central and side vision. If certain objects in an appropriate portion of the field of view cannot be seen, then the patient may have a blind spot indicating vision loss. Our new 3D OCT (Optical Coherence Tomography) retinal/macular scanner (Carl Zeiss) provides a very high magnification allowing us to view all the retinal layers in the eye and ultimately providing the patient with a comprehensive treatment plan. We commonly use the OCT retinal/macular scanner to help estimate the prognosis of many conditions such as age-related macular degeneration (AMD) as well as diabetic retinopathy. Our OCT macular scanner also provides enhanced anterior segment imaging for specific conditions of the cornea and optic nerve.